Perks! What's all this then? You can get Modere Perks by accumulating Modere points. Customers accrue 1 point for every Modere dollar they spend! You can also earn 50 points* for each product review you submit that gets published. *1,000 points maximum per calendar year. Modere Perks points can earn you shopping credits, product deals, gifts with purchase and Product of the Month and awesome Modere Experiences. Plus, there’s more where that came from. 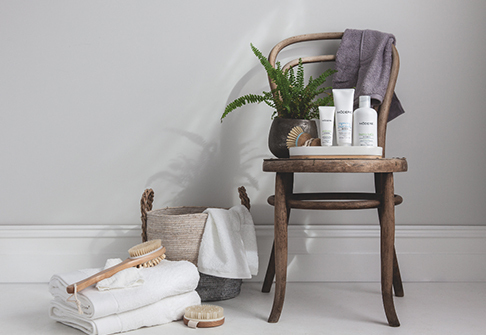 Head to modere.co.nz, look top right next to Log In, and click to create a Customer account. And you’re in. To start automatically earning points, simply start ordering Modere products. Easy. As. Every dollar you spend ordering Modere products earns you a point. Plus, send us a kind word reviewing our products and boom – that’s 50 points, right there. The Perks rule is simple. The more points you earn, the more Perkaliciousness you enjoy. Even extraordinary surprises, right out of nowhere! Points can win random monthly prizes. Just because you’re so damn awesome! The kind of experiences that money can’t buy… but Modere Perks can. Remember, one single, solitary random Perk point can win it for you. And get this: There’s a monthly, one-of-a-kind Lifestyle Experience draw. Then, the big Perk: One Grand Modere Experience – a five night trip for two – just waiting for you. The more points, the more Perks and the better your chances. It's all about one for one - Earn one point for every dollar you spend and 50 points for every product you review. Start earning now. social marketer Modere rewards is a customer loyalty program to help you build and retain your customer base. The more points you earn, the greater your reward. There’s shopping credits, product offers, birthday gifts and more. One point for every dollar spent – excluding postage. *Gift with purchase awarded once only, when Perks level reached, randomly selected and automatically added to your order. **Limit one per Customer. Not available on SmartShip and with any other offer. Here’s where big dreams come true. With just a single reward point you’re eligible to win a Lifestyle Experience each month for the entire year. One randomly drawn winner gets to choose a one-of-a-kind Modere Experience each month. Sophisticated feathered detail, with an organic, natural feel. Orton Soft Leather Folio – A4 Folio is the ultimate essential, simplistic and effortless in its design and style. Impressive, stylish and makes a statement. 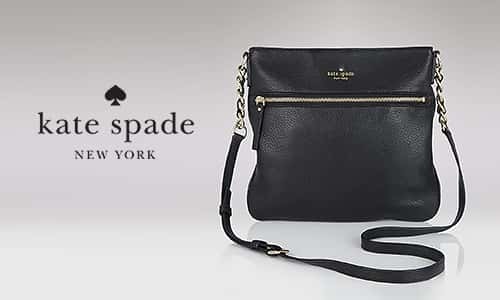 It’s the classic soft black leather Gabee satchel, every time. A stunning minimalist face coolly displaying day and date, while a polished, adjustable metal band completing the aesthetic. Perfectly in step with time, style and life. Checkmate. 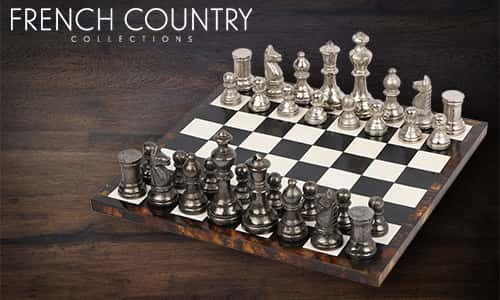 This 33cm square, 32 piece French Country Chess Set is more than just a game, it’s a work of art. Fit for a king or a queen - it’s your move. 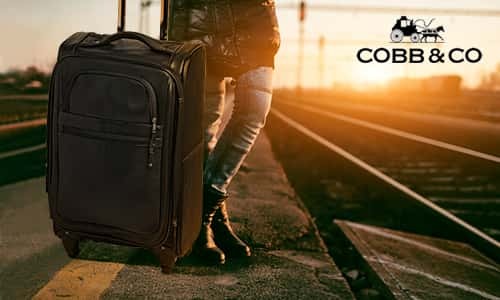 Glide from terminal to tarmac with ease and look the part at the same time with this ultra-lightweight, scratch resistant Onboard Trolley by Echolac. Trend set the jet set today! 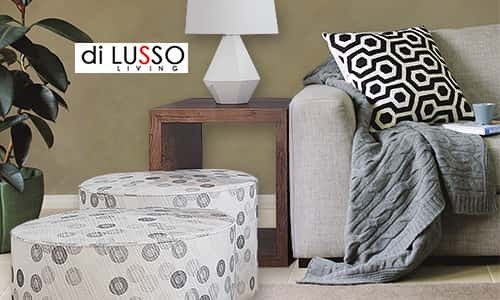 With winter fast approaching, you’ll want to get warm and cosy but maintain that subtle air of sophistication with these comfy Di Lusso Living cushions and throw rug. 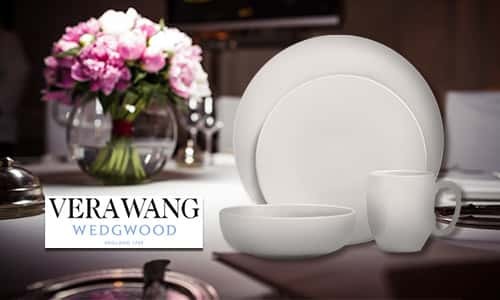 Designed in England, this classic white collection of stylish dinnerware is bound to impress with its chic shapes and modern attitude. The only thing missing are your mouth-watering gourmet creations! 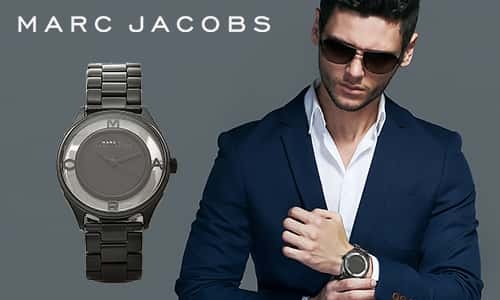 It’s time for you to show your personal style with this simple and elegant Marc by Marc Jacobs watch. 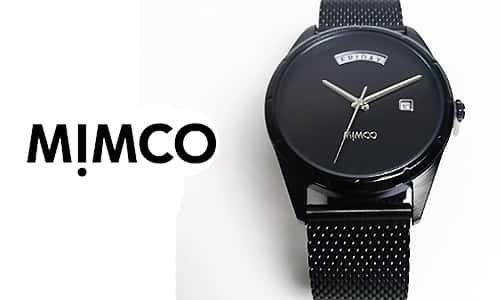 Black and stainless steel finish for maximum fashion versatility. Over two centuries experience in crafting exquisitely beautiful and practical crystal glassware goes into every Waterford glass. 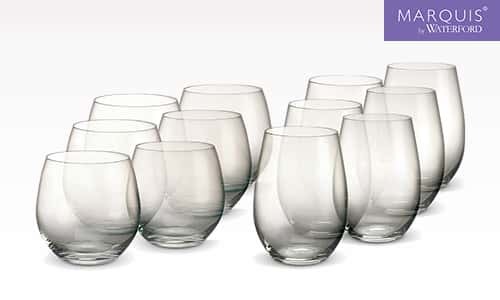 What you choose to put into these stunning stemless wine glasses is entirely up to you. 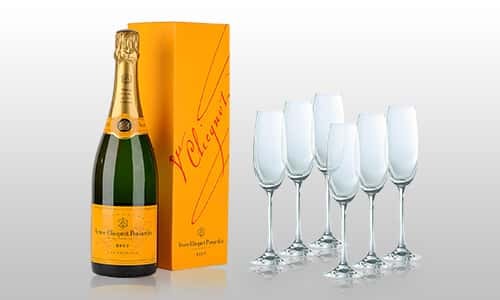 A glorious tipple from one the world’s great Champagne houses, and the perfect glassware to drink it from made by the legendary Royal Doulton. What a perfect combination. Function and beauty combine in this contemporary styled cutlery set. 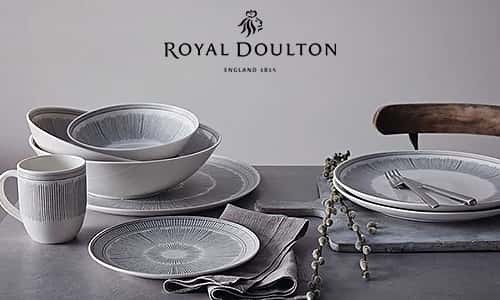 Timelessly elegant and sophisticated, have your dinner table make a statement. The elegance of undeniable style. 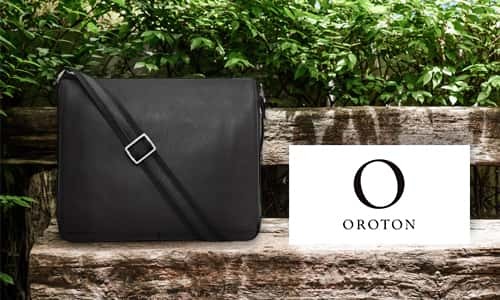 This Oroton satchel with its unisex design shows its owner to be on the go – and undeniably fashionable. 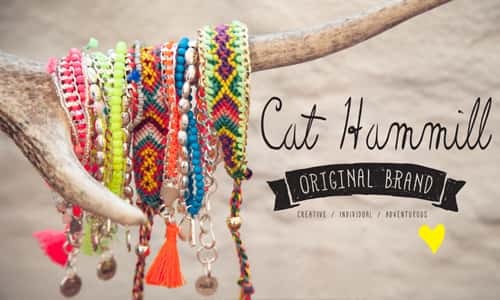 Exquisitely stylish and effortlessly fashionable pieces from the Cat Hammill ‘Dreams come true’ Collection. You probably have questions – well, chances are you’ll find the answers right here. 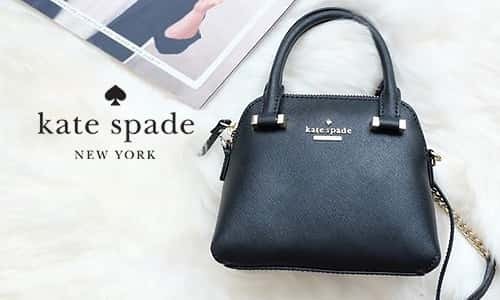 Modere Perks is a loyalty program that rewards customers of modere.co.nz and the Modere Mobile App where you can earn points that go towards amazing experiences and exquisite items. How is Modere Perks different from other programs? Our program is designed to be simple, experiential and immediate - three words you’re unlikely to find in any other program. We provide you with rewards you’ll actually use, and experiences you’ll remember. How do I sign-up to earn Modere Perks? There’s no need to sign up! 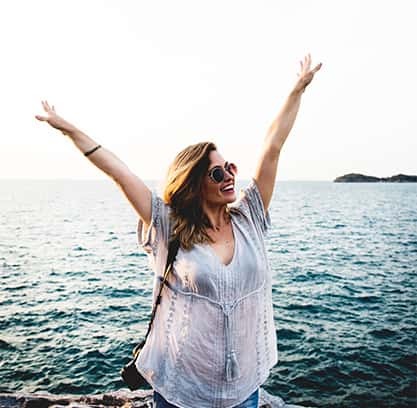 Simply create a customer account with Modere and you’re automatically enrolled — and as soon as you order one of our products, you’re earning points. How do I earn Modere Perks points? 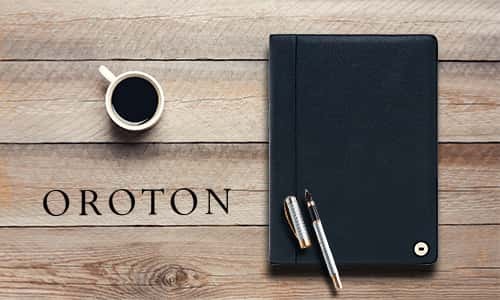 You get one point for every dollar spent (less applicable discounts and shipping) and 50* points for every published product review you create! *Earn a maximum of 1,000 Modere product review points per calendar year. What happens to my Modere Perks points if I return merchandise? Any points earned on that purchase will be reversed in the unlikely event that you need to return an item(s). Can I earn Modere Perks points on mobile? Absolutely! If you’re accessing modere.co.nz via any mobile device or using the handy Modere App (available on Google Play and iTunes!) the Perks points are all yours. Please go to the Perks tab to view a full breakdown of available Perks. Please go to the Win tab to view your current Lifestyle Experience choices. How will I know if I've won a Modere Experience? We will call and email you! Once the official draw takes place at the beginning of the month for the prior month, we’ll contact you. When that happens, you have 48 hours to sign and return an official winner release. If you miss that deadline, sorry, but we will then pick an alternate winner (please see full Modere Rewards Official Terms and Rules). Where can I see how many Modere Perks points I've earned? You’ll find information on all your point activity on the Track tab. When will I receive my Modere Perks points for purchases and product reviews? You will receive points for your purchases automatically upon completing the checkout process. You will receive points for your product reviews, once they have been uploaded to Modere following a standard review by our regulatory affairs team. 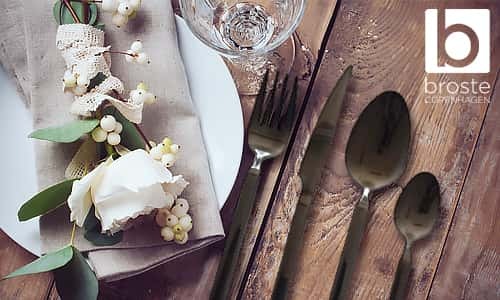 How long are my Modere Perks points valid? Points expire 365 days from the day they were earned. 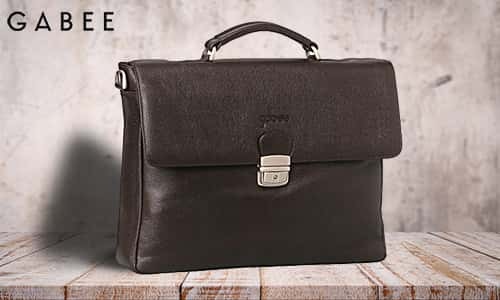 They are on this site, but simply click here to read the Modere Rewards Official Terms and Rules. Who do I contact if I have a question about my Modere Perks? Please email info@modere.co.nz or call 64 9 828 9015 during office hours. How do I earn a Birthday Gift? It may be obvious, then have a birthday! However, you will need to provide Modere with your birth date in your Account Settings under ‘Account Information’ and reached over 500 points.